Tall, dark, and handsome in Hell, but an average, skinny kid (under the alias: Kujou Yamato) in the human world. 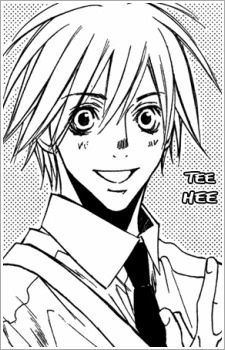 His best friend is the overprotective, Asakura Taiki. When under disguise, it appears that he can turn back to his original self involuntarily. However, this has only happened twice in the manga so far; when falling into the pond at the festival and when falling into the lake to rescue Levun. He can turn back to his human disguise when Levun kisses him. He has feelings for Levun as show in chapter 12. He has a distinctive, black tattoo on the whole of his back, which identifies him as the Prince of Hell.